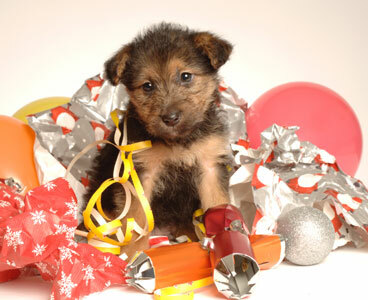 Christmas Last Order Dates – We have plenty of stock of most chews and the website is being updated constantly. We love your feedback and know you are all busy owners. We are here to help you get organised to reward your faithful friend with a chew that will last well into the new year and even next Spring! Your dog will thank you and may even decide his/her present is healthier than those naughty scraps from the Christmas table! We are an positive thinking Company and know many of our customers are keen to get ahead, perhaps making purchases a little earlier than in the mad weeks before Christmas. November is the best time to purchase your Christmas present for your best friend!We wanted to help by giving you our Christmas order dates in plenty of time. Our Christmas last dispatch date is Thursday 14th December. We listened last year and have set the date based on feedback and guaranteed postage times.. The high demand for our long lasting product in 2017 means we are definitely going to be ready in the dispatch department! Remember Staglers Deer Antler Dog Chews are the “Pawfect” Festive Gift for Good Dogs? Also guaranteed to last into the New Year, giving you great value for money in the long run! Healthy and instinctively loved by dogs, you will be impressed that this mineral packed treat is not sticky or smelly! If you have a new puppy then a lazy dog chew will be your best choice of puppy chew, ideal if they are cutting their adult teeth at this time. Rewarding you dog makes you both feel good, and unwrapping a Stagler is a fun Christmas indulgence you both can afford! Our dogs love Staglers chews they make short work of most things and although a bit more expensive Staglers definitely last so great value for money! Thank you so much Lindsay! We would love to see a photo of your dogs enjoying their Staglers! Our rescue Dog Teddy is very fussy with his chews & he loooooves your antlers … he’s had one for over a year!! He has 4 different ones & he changes his favourite every few months!! The fact that the antlers shed naturally was very important to me as a vegetarian & the reason I bought him his first one 3 years ago. Your Teddy is exactly why we love our business. Well done to you both for being VIP customers and loving our ethics too.